Depending on the origin country and your operating system you may encounter issues when using DAP4s (or BA80s) in your own country. The DAP4 I have originated in the UK, it’s keyboard came from Germany as did the version of NIROS that I’m using and this means that some of the keys on the keyboard are incorrect; specifically the “Z” and the “Y” key are the wrong way around. Using a screwdriver you can carefully “pop” off the keycaps and move them around, but you also need to patch the assignment tables in the required workstation program. I'm using workstation program “06” out of necessity rather than choice. The NIROS system I have has been stripped to its minimum and there were only three DAP4 workstation programs on the disk, and only program 06 would support my ND11 printer. 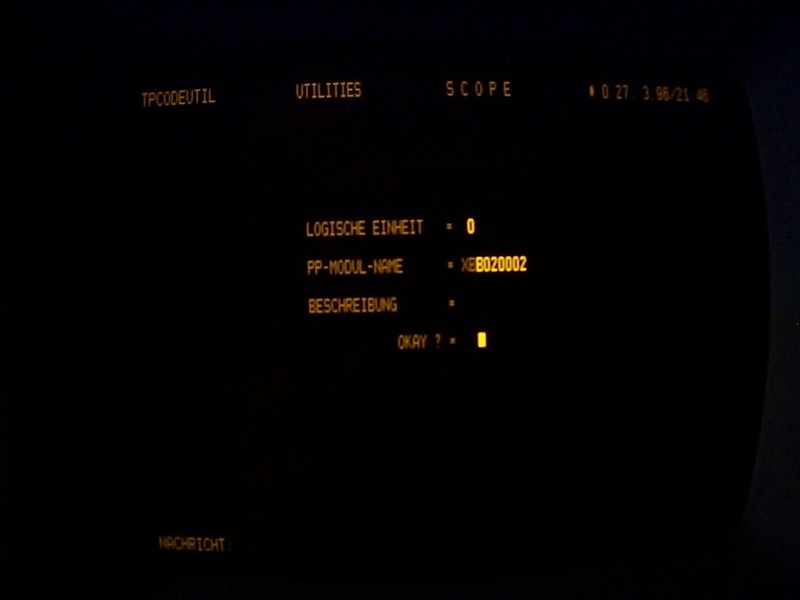 Log on as the system admin and from the scope prompt “#”,run the program TPCODEUTIL. ​You should see a screen displayed like this. You are required to enter the LU number where the workstation program can be found (usually 00), it's full name (XBB060002 in my case), and then select "Y" at the OK prompt. ​You will then be presented with a list of the available code-tables contained within this workstation program; this also gives you an idea of what devices this workstation program supports. ​Table addresses $12 and $25 are used for the "Y" and "Z" key. Just switch the values around by entering the address to change, pressing CR and then the new cell value followed by CR. You will also need to modify addresses $52 and $65 to change the lowercase "y" and "z" keys. Once you've done, select "END" to take you back to the previous screen, and then "END" again to save the changes and exit. Pressing "CAN" will cancel any changes you've made. You MUST exit the program completely before it will save your changes. Once done, switch the VDU off, and then back on again, select the required workstation program to load if different from the default, and there you have it. 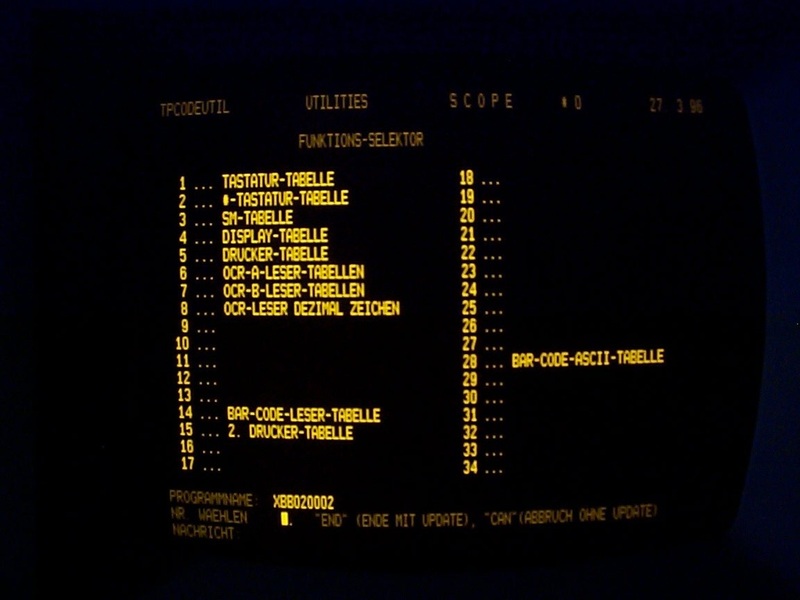 You can use TPCODEUTIL to change the display and printer tables if required. 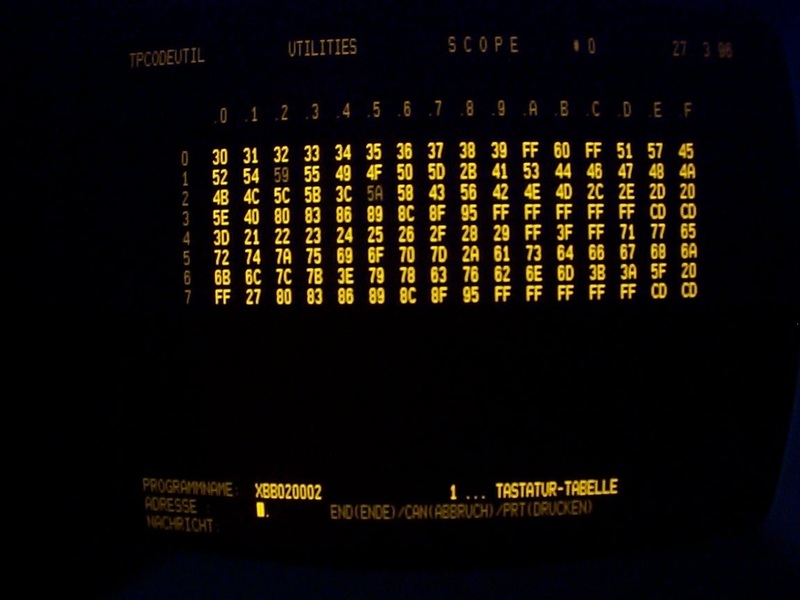 I suggest you make a backup copy of your workstation program before you start hacking it's code tables as a mistake could mean the VDU becomes unusable once your changes are loaded.